But i have found on a few items that say 'Zero Sugar' or 'Sugar Free' that they do contain น้ำตาล in their contents listing. Is it that they contain น้ำตาลเทียม? It's a general term for sweetener. Probably best if you post a picture. I have posted 4 pictures. I can see them above, can anyone else see/not see them? Can see the pictures and am no expert but the protein stuff says no sugar ADDED the listing states 10g of sugar. The sprite can mentions 31 g of sugar. Perhaps the expression "sugar free" has almost become part of the Thai language so then the left picture would read: NOT "sugar free" but am just speculating here. It also contains 130 kcal that seems normal for sugary drinks. Sprite says 'ไม่ Sugar free' ! When I 'blow up' the 'meiji' I can't read it but I expect that the mixture of languages has a similar effect. 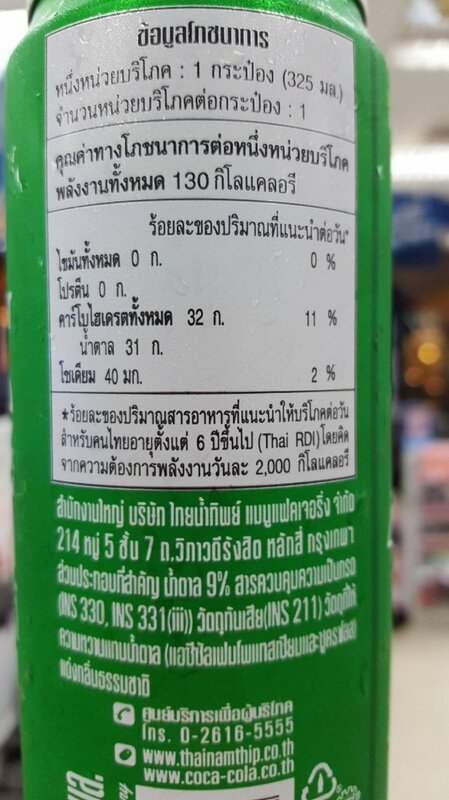 the sprite can says 'not' in thai before sugar free. Very confusing. Since as mentioned above it has 31 grams of sugar. Also when a product says 'no sugar added' it can still have sugar that is naturally present in the other ingredients, thus not totally sugar free. Hard to understand why in Thailand have only all content info just in Thai language but if the item is imported and there is content details in English in Thailand they fastening them own thai language sticker top of the English language details or other language content details also the sticker not removed easy and rip and broken if try look details under sticker. I interested to know sugar and grains caontents. 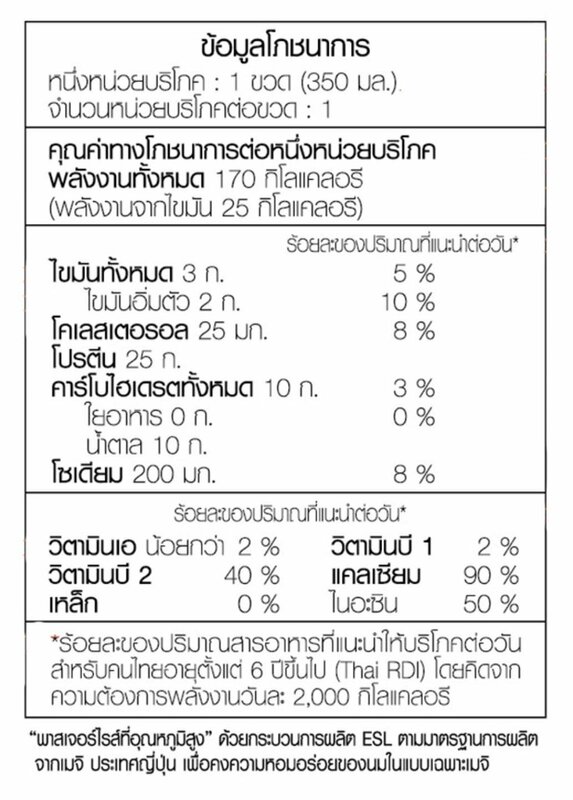 There’s 10 grams of carbohydrates (คาร์โบไฮเดรต) in that First one, 32 in the sprite! The top of the column says "percent of recommended daily allowance." For the Meiji, it's 3%, for the Sprite, 11%.